The easy way to put together sales presentations and reports; great for science projects, classroom presentations and art projects. Great for science projects, classroom presentations and art projects.  Photo-safe for scrapbooking, photo mounting and other craft projects. Coated with permanent adhesive on both sides. Note: A minimum quantity of 432 must be ordered, and in units of 72 thereafter. 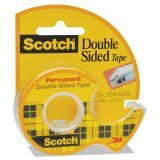 Scotch 665 Double-Sided Permanent Tape in Handheld Dispenser, 1/2" x 250", Clear - Office tape is coated with permanent adhesive on both sides and no liner to deal with. 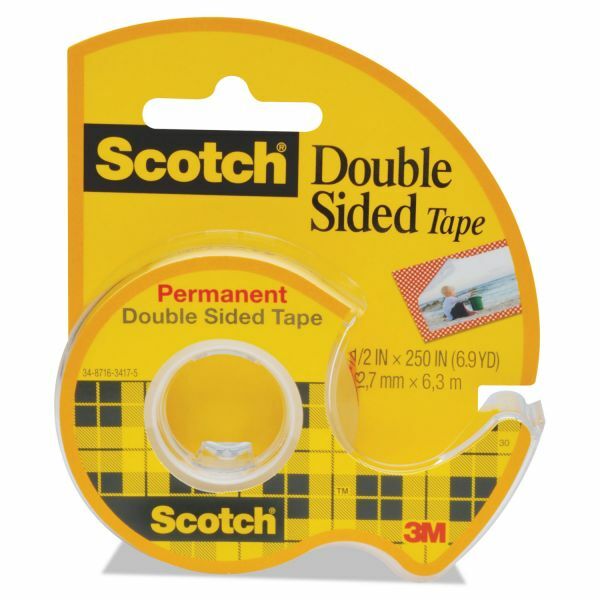 Long-aging tape won't dry out or yellow. Double-sided design offers a no-mess alternative to gluing for light-duty attaching and mounting tasks. 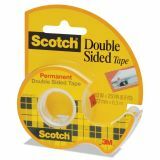 Photo-safe tape comes on a handheld dispenser for quick and portable use. Comes in handy dispenser for quick and easy, portable use. Long-aging, won't dry out or yellow.